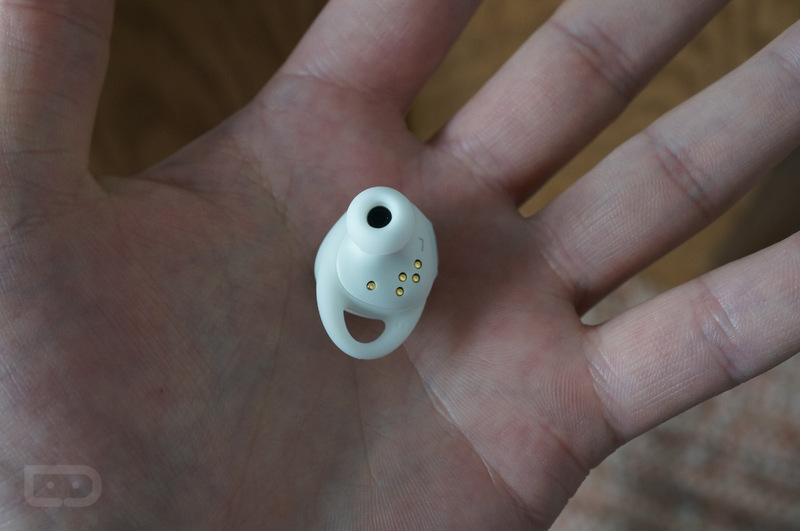 With announcements for the Samsung Gear Fit 2 and Gear IconX earbuds out of the way, we can now share our own, albeit brief, personal experiences with both devices. 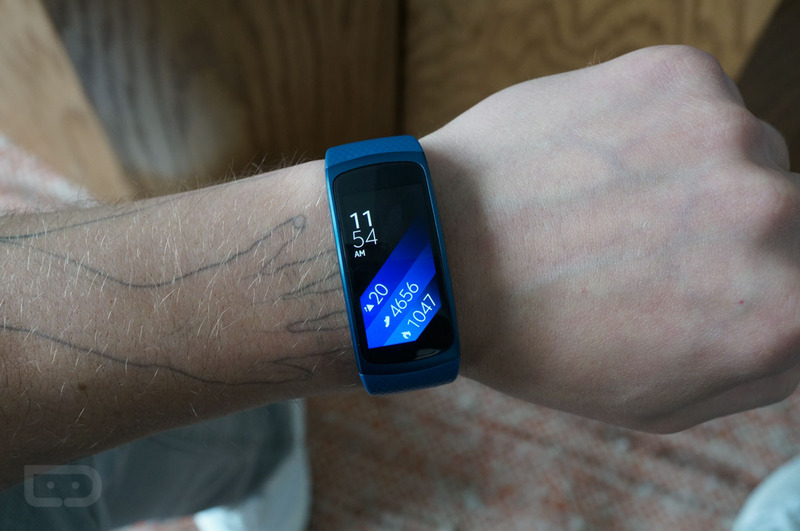 During a small media briefing, we got a bit of hands-on time with Samsung’s latest wearable and even got to listen to the all-new wireless Bluetooth earbuds. 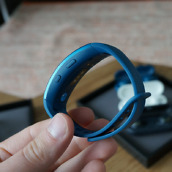 The experience was rather short lived, but I can at least provide my initial impressions for anyone interested in purchasing one of these devices. 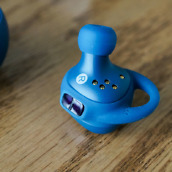 As a recap of the announcement, the Gear Fit 2 goes on sale in-store on June 10 for $179, while the Gear IconX earbuds will launch in Q3 with a retail price of $199. 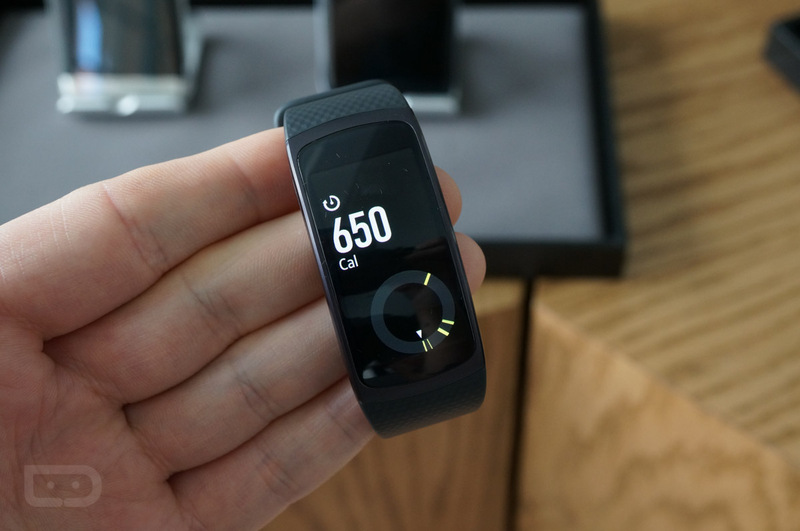 Let’s start with the Gear Fit 2. 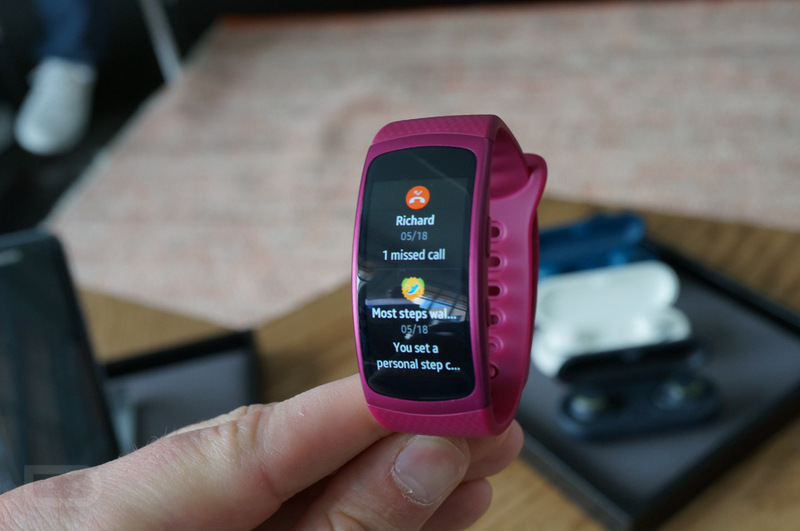 When the original Gear Fit launched in 2014, I didn’t use it all due to its incompatibility with anything other than a Galaxy smartphone. 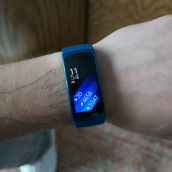 That is where the Gear Fit 2 excites me a bit more. As long as your Android device is running Android 4.4+, you will be compatible. 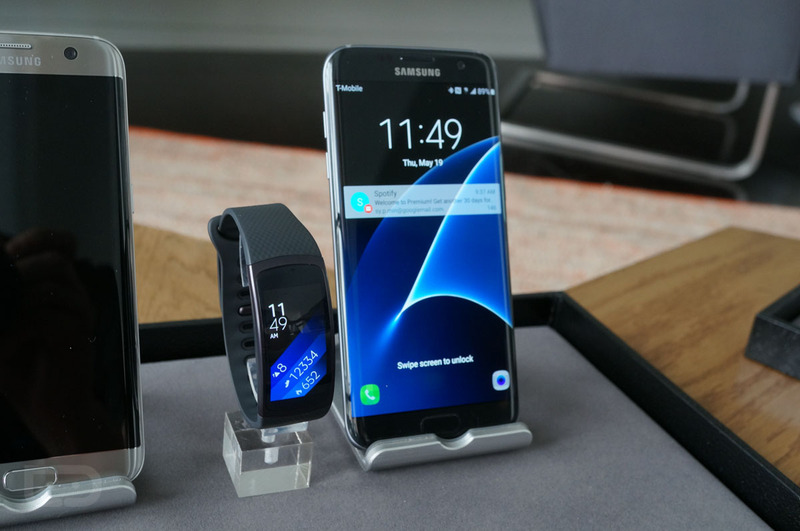 This should open up the potential market quite a bit for Samsung. 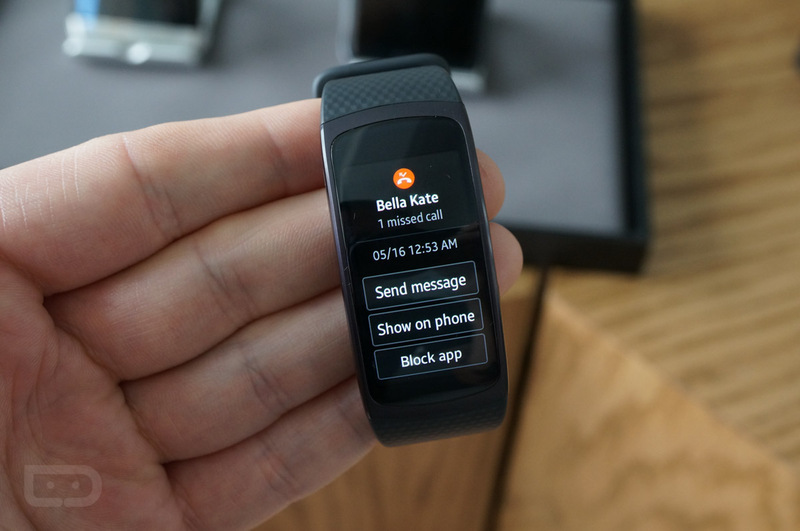 In addition, notification support has been completely opened up, and instead of only a few Samsung-made apps allowed to push notifications, the Gear Fit 2 can display any notification you receive. 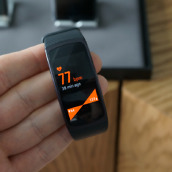 That’s another big step in the right direction for Samsung. 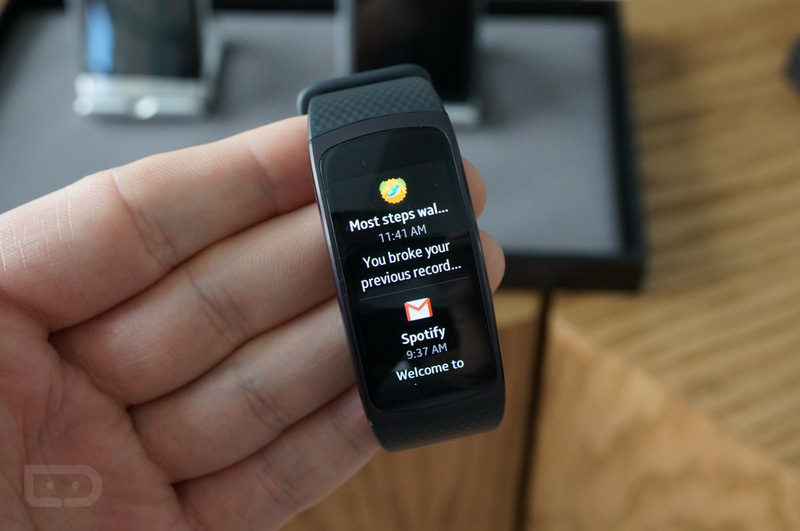 When I first picked up the Gear Fit 2, I could feel how extremely lightweight the device is. 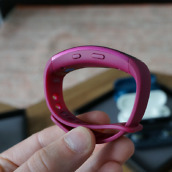 The band is made of silicone and is very bendy, but not at all cheap feeling. 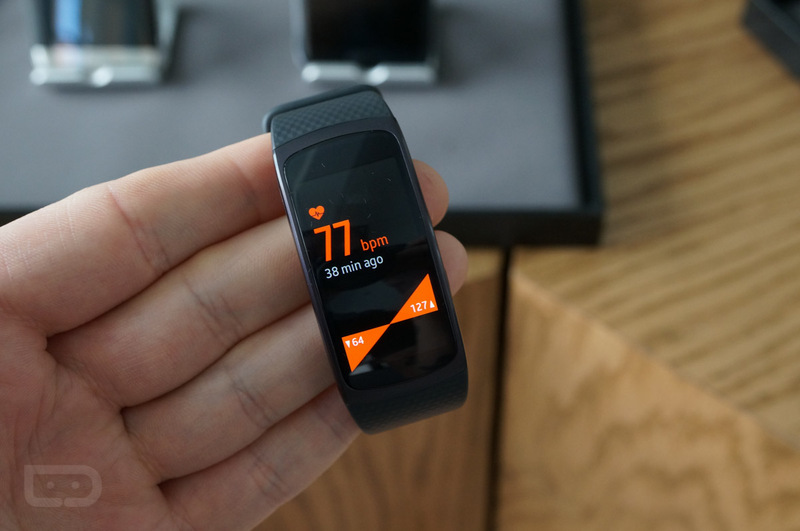 Unlike the Moto 360 Sport that features a very sticky band, the Gear Fit 2’s band does not seem to attract lint or any pet hair you might have on you. 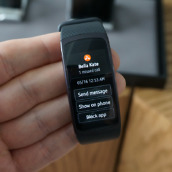 The UI itself, while it is Tizen, is very snappy and responsive to touch thanks to the added Exynos processor. 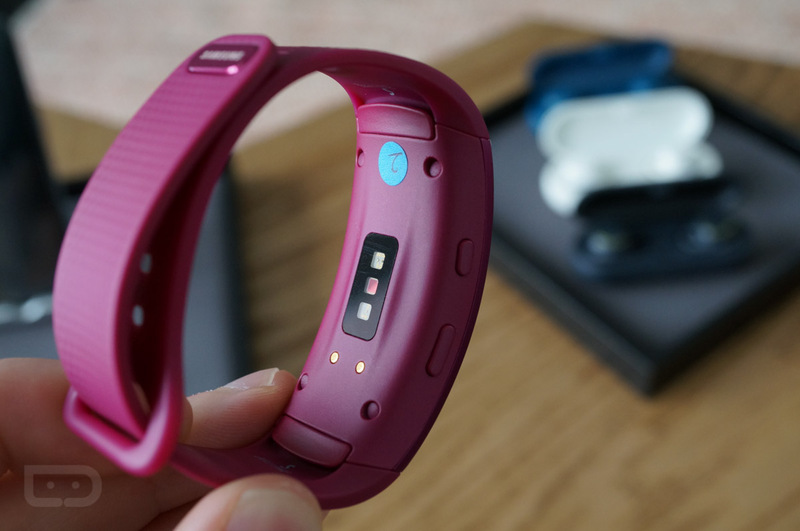 When swiping through the different screens, you will quickly realize how many features this little smartband packs. 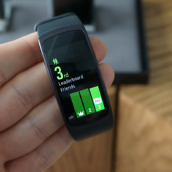 A swipe down will access your notifications and ongoing music controls if you have music playing, or a swipe across the display will get you to all of your recent workout information. If you keep swiping, breakdowns for all of your activities are viewable, which is great for those here who need access to that information on the fly. 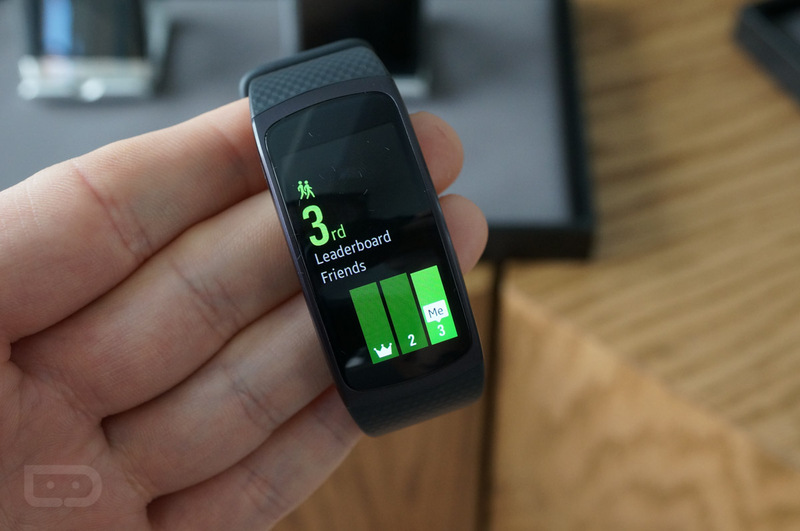 If you happen to know someone else who utilizes a Gear Fit 2 and S Health, you can even begin a little challenge amongst yourselves, which adds a decent flavor of competitiveness to the experience. 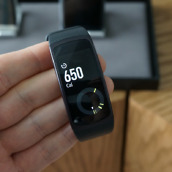 Also in that same sharing category, if you are the type to display your workouts on social media, the standalone GPS radio can deliver a little map of your last run, which can then be shared on Facebook, Twitter, or wherever else. 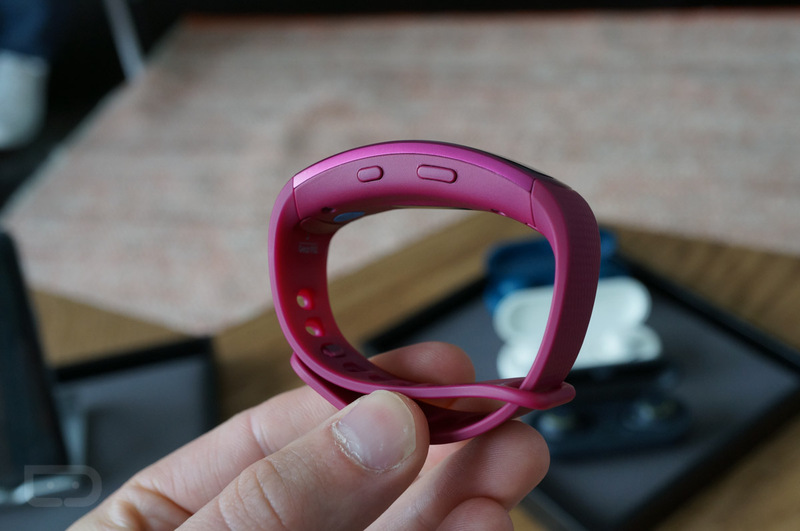 Overall, the Gear Fit 2 is a major improvement in all categories over the original Gear Fit. 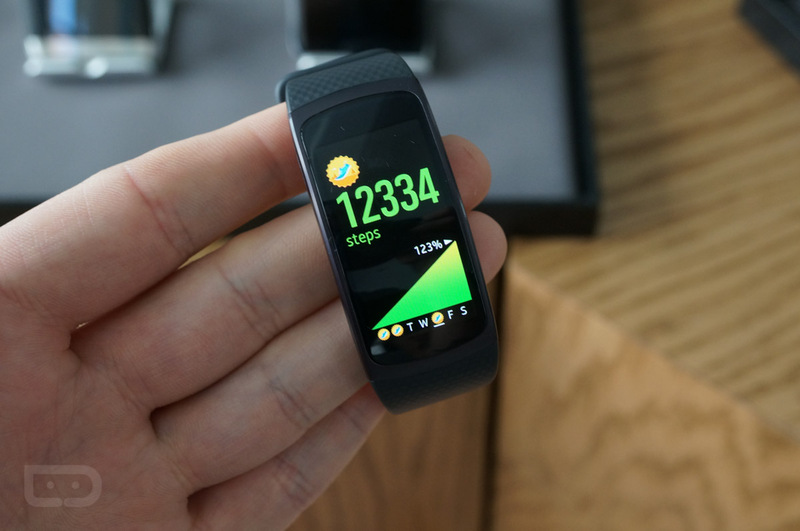 The Gear Fit 2 launches in-store on June 10 for $179, with pre-orders beginning June 3 at select retailers. 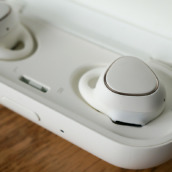 I am by no means a headphone specialist or audiophile, but I will say that the Gear IconX wireless Bluetooth earbuds from Samsung are pretty dope. 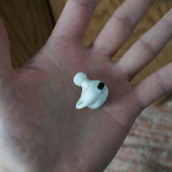 Personally, I would declare that my ear canals are rather funkily sized, but I was surprised to see that these earbuds fit in them very snug and comfortably. 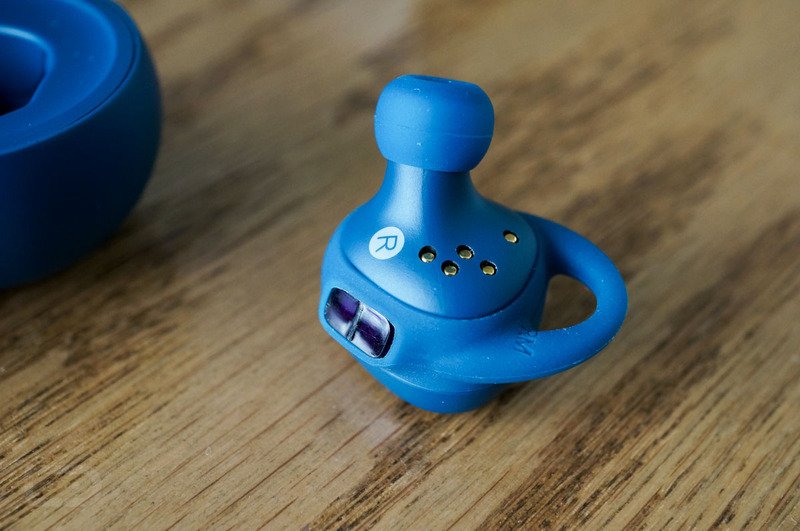 Even after whipping my head around a little bit, I could tell that they weren’t going to fall out, which is important if you plan on dropping $200 on earbuds and then take them on runs. 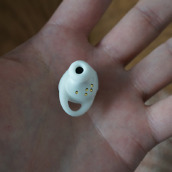 When you insert the buds into your ears, you will hear a beep. This beep indicates they have powered on and are ready for use. 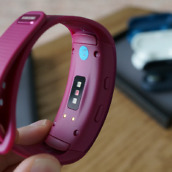 Do note this happens automatically, as the built-in sensors detect the insertion. Once done, you simply tap on the flat outside surface of the controller bud to get going. In my case, as I am right handed, the controller bud is in my left ear, but either the left or right can act as the controller. 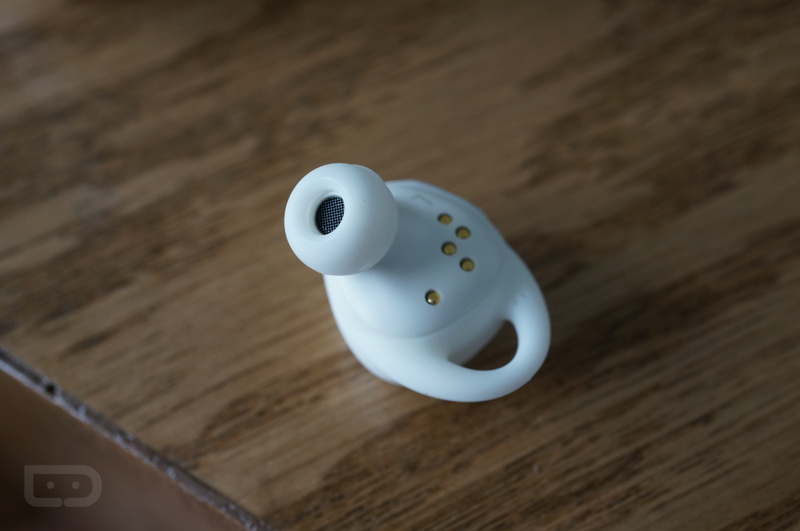 To navigate the different features of the buds, such as controlling music and workout functions, you swipe on that same outside part of the bud. As you swipe, a soft voice will speak into your ear, letting you know what you are about to select. 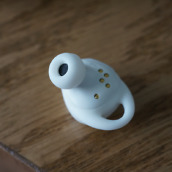 One feature that amazed me, probably because I was not expecting it, was the ambient microphone. Say you are in the grocery store and get to the checkout counter. 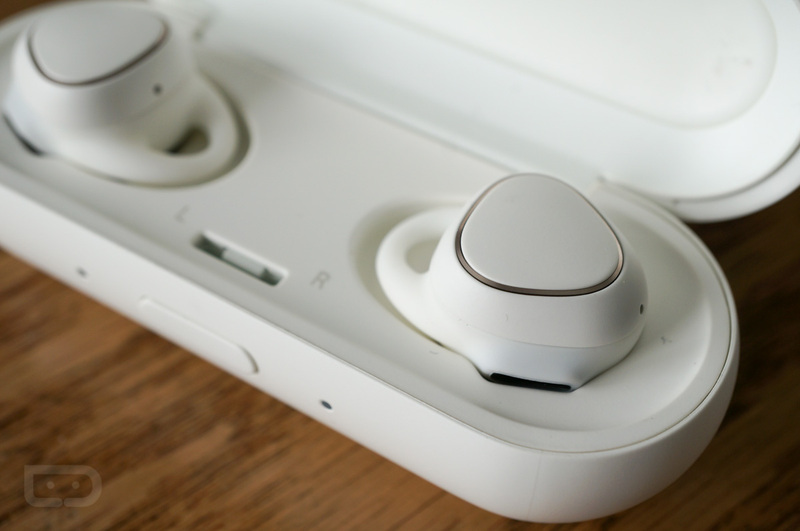 Instead of taking out the earbuds, simply long press on the controller bud, and outside sound will then be fed into your ear. 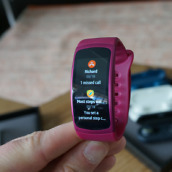 This will allow you to have conversations with people or even here oncoming traffic if you enjoy running in the street. 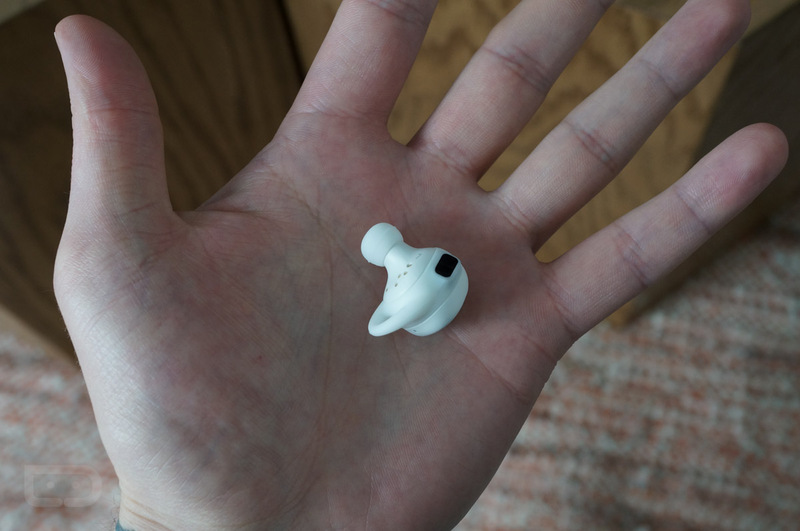 In terms of overall sound quality, it was actually pretty good. Most phones feature a built-in EQ for outputted audio, so finding the right mix should not be too difficult for you. 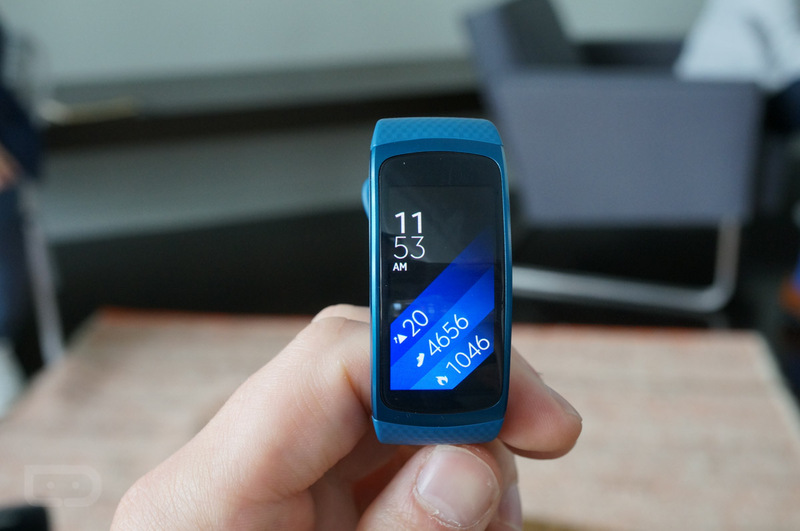 For me, the only downside would be the battery life. 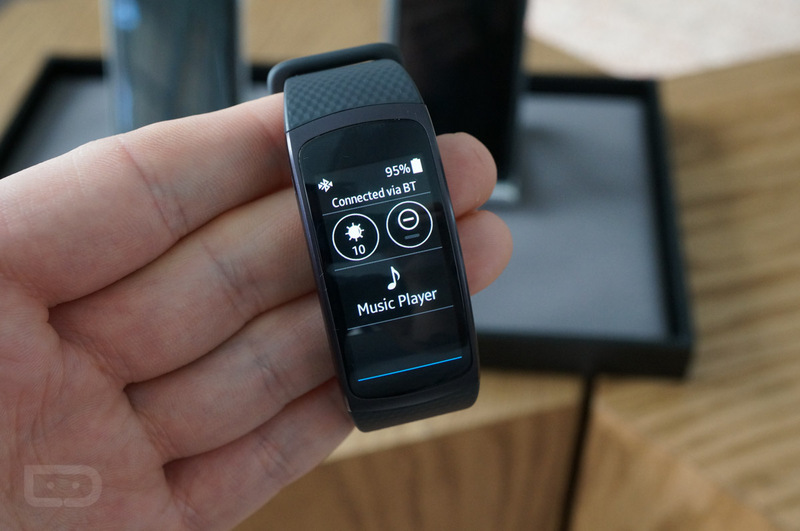 According to Samsung, depending on if you stream your music or use the offline playback mode, you should only see about one and a half to two hours of use on a single charge. 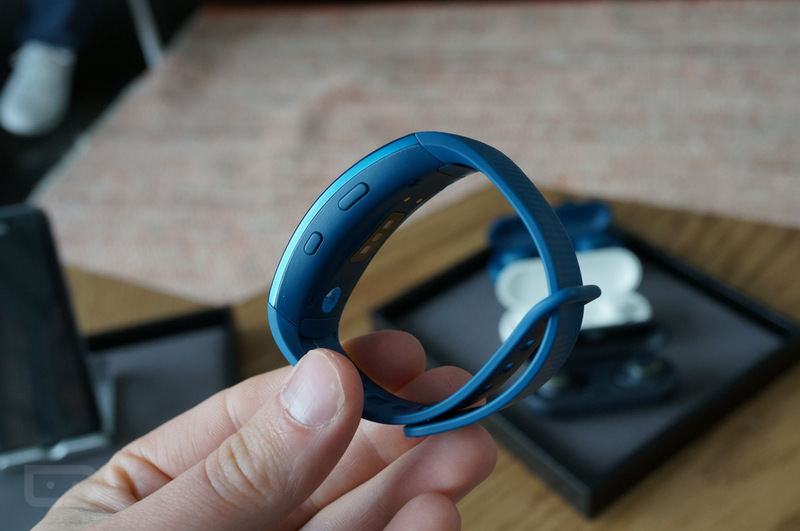 That’s not bad if you plan on hitting the gym for an hour, but don’t plan on using these for your full marathon, considering the median completion time of a full marathon is north of 4 hours. With that said, the charge time on these little guys is pretty good, coming in at about 30 minutes. If you take your carrying/charging case with you everywhere, you should easily get a day’s usage out of them. 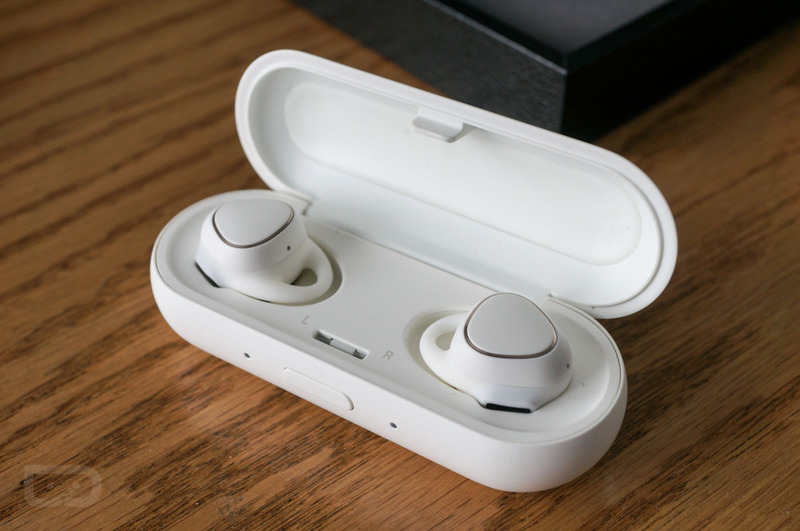 For $199, this is certainly a good starter earbud pack for fans of wireless Bluetooth buds, but it’s still expensive. Expect these to hit stores in Q3 of this year.